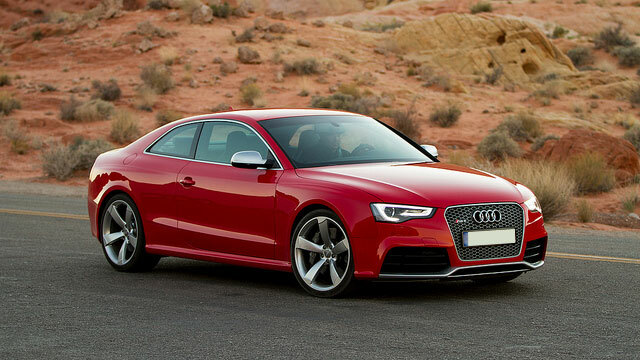 Audi drivers from near and around Kent and Des Moines choose Premier Automotive services. Audi is one of those unforgettable cream-of-the-crop cars to drive, which is why you need a cream-of-the-crop auto mechanic to do all of your Audi auto repair. Your Audi deserves it...and so do you! Audi can be a wonderful car to drive, but even the best cars with the top of the market engineering break down, especially if they do not receive regular auto repair maintenance! Pamper your Audi and yourself by getting these crucial auto repairs performed regularly, and let Premier Automotive Services help keep that Audi humming right up to 300,000 miles! “I've always received excellent service and honest consultation on the issues I bring them. Their prices are slightly higher than standard but the piece of mind you get from knowing they are honest and not screwing you over is so worth the extra cost. They give detailed explanations of what's wrong, even breaking it down for us non-car people. Nothing else to say here other than it is an excellent service center that I trust and highly recommend.” -- Pelham H.
Premier Automotive Services has earned loyal customers from near and around Kent and Des Moines. You can be sure that you will have all the best in convenient and capable auto repair at the hands of a really reputable and highly trained auto mechanic. No matter your auto repair needs, we can handle it for you! Our middle name is empathy, and you will always have our full attention when you bring your vehicles to us with any auto repair concerns. We know how hard it is to find a really good auto mechanic in the Kent and Des Moines area, and we are here to fill that need for you. We’re only a phone call away! Or, you can use our convenient online appointment system to schedule a reservation. No matter how you choose to contact us, we can’t wait to be your one-stop auto repair shop! We are located at 25009 Pacific Highway S. in Kent, and our hours of operation are Monday - Friday, 8:00 AM - 5:30 PM.